Welcome to the Garden Farms Community Resource Network; a place for all of our ideas, resources, events, announcements, etc...A place to connect and keep up with what's going on daily in our community. I have organically grown, hardened off, healthy heirlooms and other special varieties available in 4” pots for $2 each. I am planning a plant sale for Saturday, April 30 from 10- 3. If you would like to stop by before that date please call me at 438-5077. In addition to tomatoes, peppers, and eggplants, I have some greens and herbs. Hello Neighbors! I am not starting plants for sale this year and don’t need all of these seed catalogues that I've accumulated. I get at least three every year from about 15 different companies. I am happy to share them. They range from Burpee to Johnny’s to Pine Tree, Park, Gurney, Seeds of Change, Territorial Seeds etc…. Call if you are interested - Jan at 438-4120. Monica's recent trip to Germany and Italy provided opportunities for hiking, cooking and, evidently, drinking very large mugs of beer! The first photo is Monica at the Coliseum in Rome. 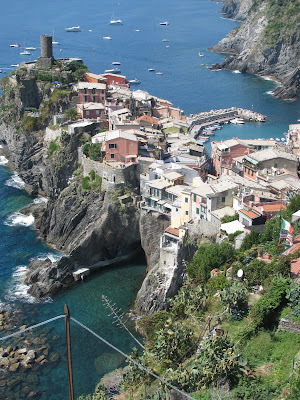 The second is a view while hiking Cinque Terre - centuries old villages, and spectacular views. The third is Wine tasting in the Chianti region of Tuscany - vineyards are dry farmed - wonderful wines paired with locally made cheeses, salamis, bruschetta, 15 year aged balsamic vinegars..... it was an amazing afternoon. The fourth photo is Monica at Octoberfest, Munich, Germany. 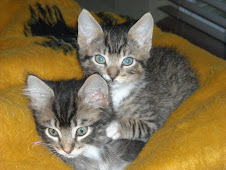 Spring has sprung and with it - here come the kittens! I’ll be doing another round of trapping again, as soon as Woods gives me the go ahead, and I have enough funds for 5 more cats. This is an ongoing project that I enjoy doing and I feel is important if we are ever going to get the feral cat population under control here in Garden Farms so, I will always accept donations. Thanks to all of you who have donated already! I‘ve got spay/neuter certificates for each cat altered and am happy to make those available to anyone who would like to see them. Please let me know if there is an area near you that is particularly dense with cats and I will focus my trapping efforts there next go round. Thanks again!